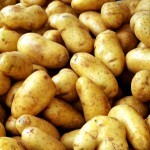 When cutting the skin off of any kind of potato before cooking it, place the peeled potato in a pan of water. This will prevent the potato from turning brown while you peel the rest. 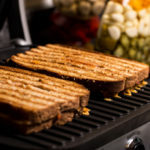 Use a small grill like a George Foreman but off brand works just as well. You can also do it the old fashioned way & use a skillet but the counter top griddle is faster. Spread the “butter” on one side of the bread on both slices & take both slices of the provolone & put the Kraft American slice in the middle of the provolone. Stick the sandwich in the griddle & close the top. When the buttered slice is a little brown take the sandwich out. Mix all ingredients into a bowl well by hand & place them with a teaspoon onto cookie sheet. Bake for 17 minutes. Take toffee bars from the oven & let them cool on cookie sheet for 5 minutes. Place them on a wire rack to let them cool further. Preheat your oven to 350°F. Preheat your frozen pie crust on a cookie sheet in oven for 3 minutes. Mix the sugar, eggs, & flour with a whisk. Add milk, vanilla extract, & butter & pour into pie crust. Place the pie in the middle of the oven & bake for 50 minutes until the top is brown. Take out of the oven & cool. Take wrapper off of the milk can & place in a sauce pan & cover it with water. Boil water with can in pot for 1 hour & refill water as it evaporates out of the pot. Make sure the can is completely covered at all times. After the hour is up, cool the can in the fridge for two hours. Be sure to allow the can to cool entirely! Once cooled entirely, open the can & pour contents into the graham cracker crust & leave in the fridge overnight. 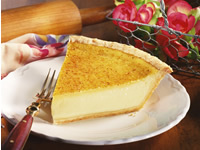 The next day, take the pie crust out & put the Cool Whip on top of the caramel in the pie crust. Sprinkle the top of the pie with the chopped pecans & mini chocolate chips.